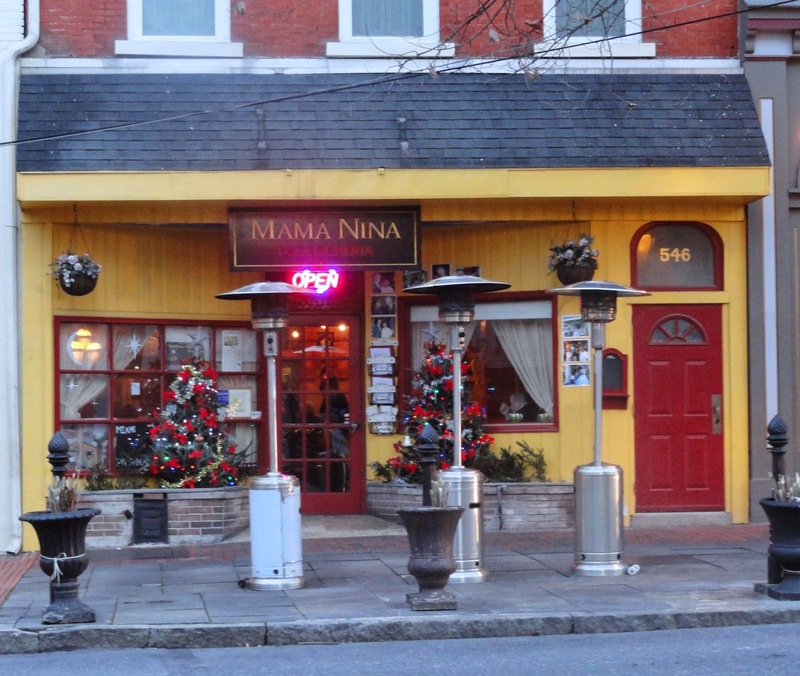 Historic Bethlehem, Pennsylvania is so much fun at Christmas time! My hubby and I visited there this weekend. Let me tell you about some of the things you can see and do in this lovely city. Love shopping? You might want to start with Christkindlmarkt. 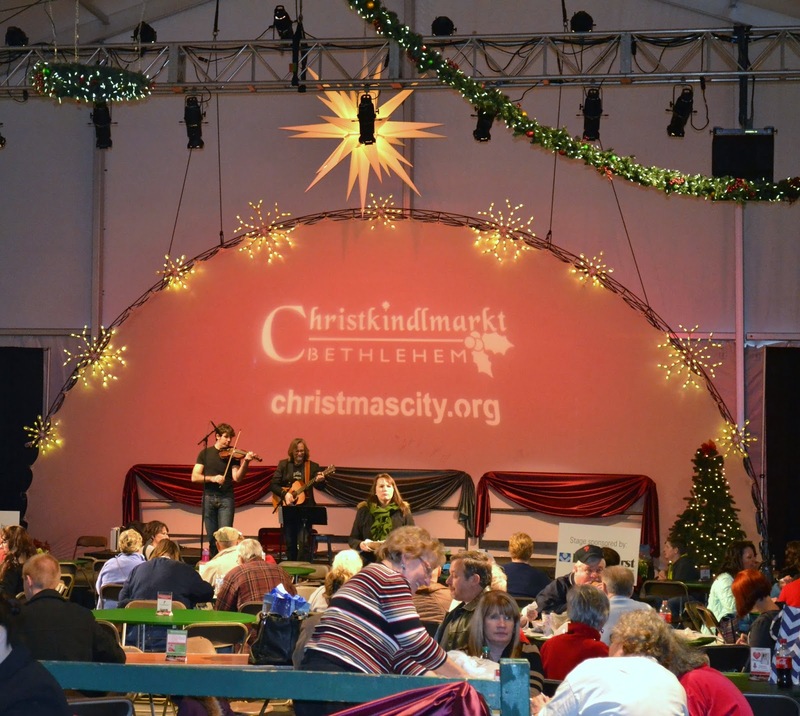 Housed inside two enormous heated tents, the German-themed festival is famous for its beautiful array of handmade, old world crafts, gifts, and foods. You can even enjoy holiday music while you shop! Window shopping more your cup of tea? There are plenty of shops to explore on the streets of Historic Bethlehem. All of them are decked out in their Christmas Holiday finest! Feeling hungry? There are restaurants galore to choose from. We decided on Italian. 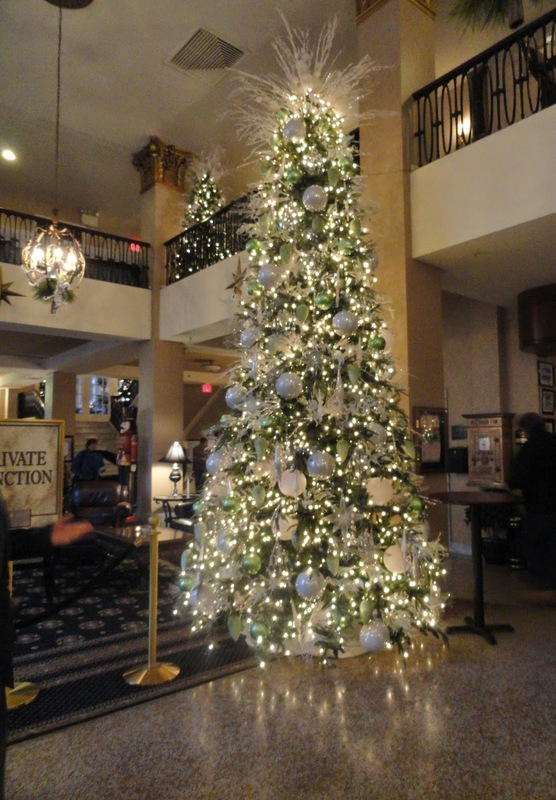 Be sure to stop at the beautiful Hotel Bethlehem. Its beginnings started in 1741 when the very first house in Bethlehem was built on the site. In 1823, it became the Eagle Hotel. 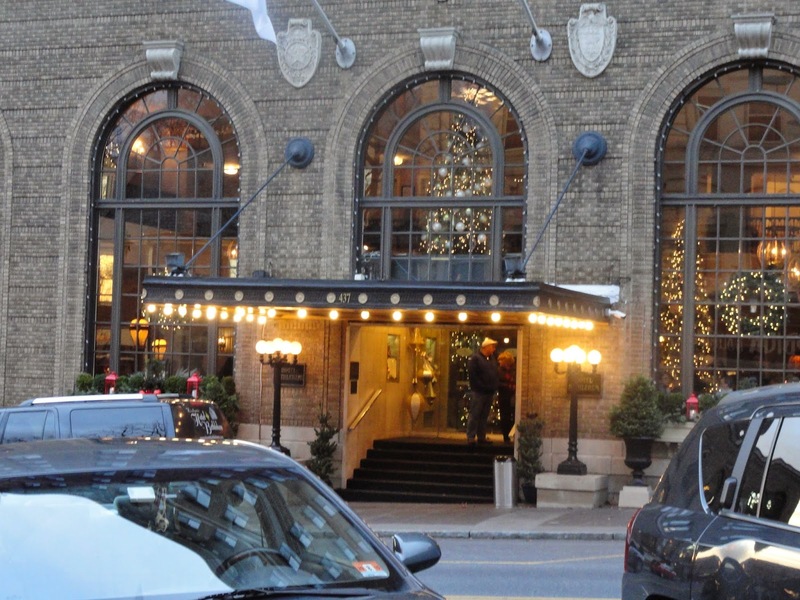 And in 1922,the Hotel Bethlehem was created to cater to the many clients of the Bethlehem Steel Company. In 1999, after a 3 million dollar renovation, the hotel was transformed to once again reflect the elegant grandeur of the 1920's. What I find even more interesting though, is that the hotel proudly claims that it's premises are haunted by at least four ghosts! Watch out for room number 983! Oh, one last thing. 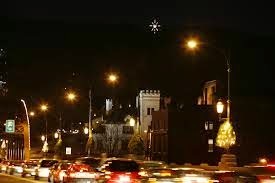 Bethlehem has it's very own Christmas Star. Perched atop a 91 foot steel frame, the star is lit every night of the year from 4:30 til midnight. It can be seen year round from twenty miles away.